Studio Rental & Birthday Parties! Studio rentals available! 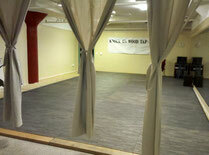 If you or someone you know needs a place to teach class, or hold rehearsal or events... please contact us for details! Currently, our space is also used by Capitol Tap (our resident tap company); District Tap (adult group of advanced tappers); Foggy Bottom Morris Men (men's English Morris dance group); and Shannon Dunne Dance (Sean-nos Dance - Irish). Fun, fun, fun! For a novel birthday party experience, our own Gigi Buscaglio will lead 10 children in a 40-minute tap class. She will lead games and fun. We provide the space, the teacher, the tap shoes, the party favors, and the fun! You provide the food, we help serve! Cost: $300; any additional children are $10 each. 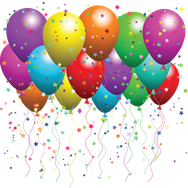 Contact us to schedule your Happy Tappy Birthday Party today!